4. Be sure to meet the requirements. 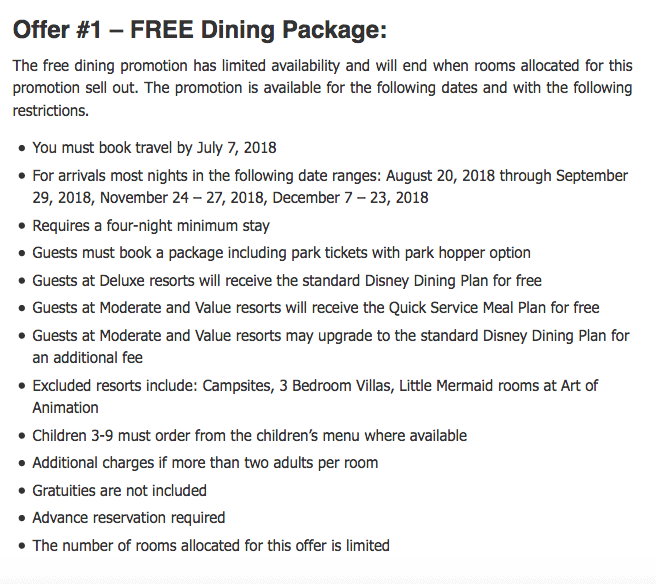 Remember that Disney’s promotions for free dining have specific requirements to meet in order to qualify for the promotion. Usually the requirements are in regard to a minimum length of stay at a Disney Resort hotel that participates in the promotion. There is also usually a minimum requirement for the number of days purchased on your Walt Disney World park tickets.